Recipient of an Australian Design Award for Innovation and Design, the Innovator is arguably our most impressive and popular wood heater thanks to its striking appearance. It features a wide, rectangular firebox to enhance its presence in any room and a large glass door, offering entrancing views of the roaring fire. Heating up to 232m2 it is the perfect wood heater for a medium-sized family home. The Innovator is also available with a two-speed fan allowing heated air to be distributed throughout the house more quickly. This is ideal for homes with expansive areas or several rooms to heat. 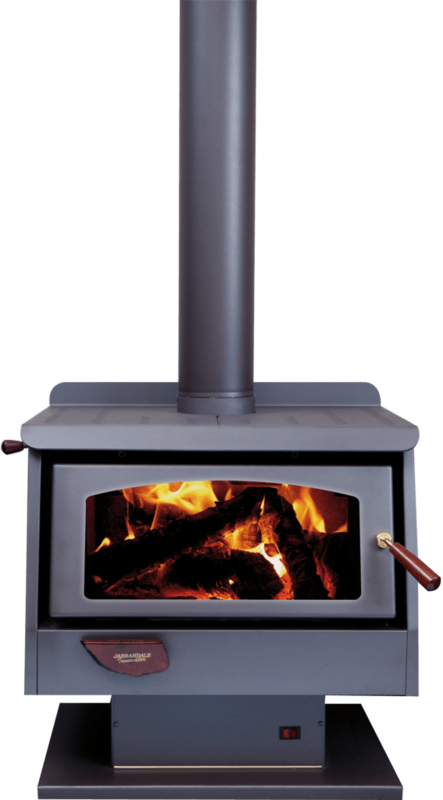 The Innovator is also available as a built-in wood heater, for installation into a fireplace opening. If you would like to know more about the Innovator freestanding wood heater, please fill out the form below and one of our friendly staff members will be in contact with you as soon as possible.